This is suitable for 1 adult. 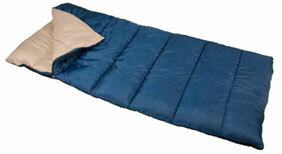 Made with polyester/nylon fabric, and can be used for camping, hiking, camps, journeys, picnics, etc. Light weight to carry and easy to maintain. Comes in a coordinated bag.